You are invited to attend this important Round Table Conference on October 19 at the Sathya Sai School. We would appreciate your confirmation before October 9, 2013. 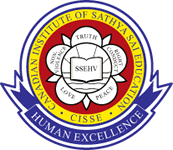 Participants: Sathya Sai School Trustees, Principal, Teachers, Members of the Sri Sathya Sai Baba Organization in Canada and CISSE. National Training Program for FACILITATORS of Dynamic Parenting Workshops at the Sathya Sai School, Toronto, Ontario. Deadline for receiving the application forms March 31, 2012. National 8-day workshop for Course 1 of the Standard Diploma at the Sathya Sai School, Toronto, Ontario. Open to Sathya Sai School teachers & participants nationally. Limit 25. Registration deadline: June 15, 2012.